CBC Ottawa is hitting the road again this spring, but now host Hallie Cotnam's at the wheel. Ottawa Morning dedicated Friday's program to the village and CBC TV News was broadcasting live from there starting at 5 p.m.
CBC TV News spent some time in Manotick on Friday as Adrian Harewood co-anchored the newscast live from the village's main street. You can watch the entire newscast by clicking here. Ottawa Morning is hitting the road again this spring, but now host Hallie Cotnam's at the wheel for our special series, Hallie in the Hood. 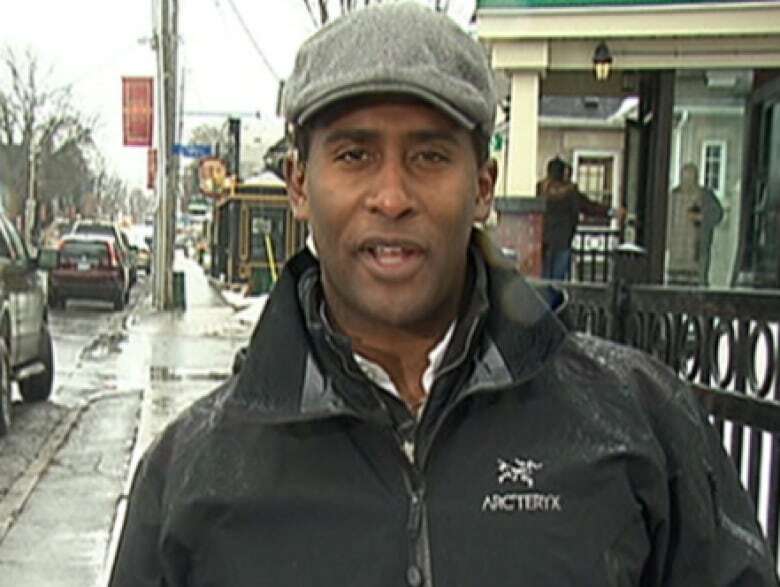 CBC TV News co-anchor Adrian Harewood was broadcasting live from Manotick throughout the newscast on Friday evening. (CBC)It's Hallie's turn to leave the studio and shine a light on one area of this city that's changing. It used to be a picturesque village just south of Ottawa, known for its historic mill. Now, it's a community inside Ottawa's city boundaries — and just a short drive from suburban Barrhaven. 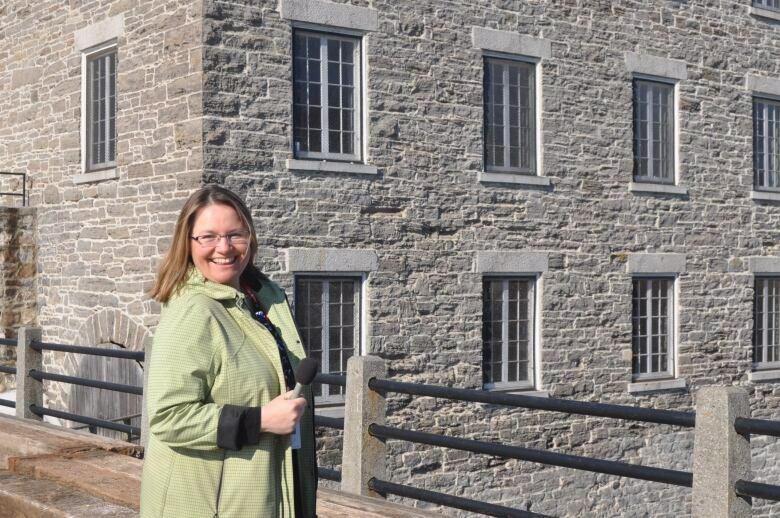 Hallie Cotnam devoted the Friday edition of Ottawa Morning to the sights and sounds of Manotick. (CBC)How is the community coping with the change that comes when the city approaches? What should this rural village do to keep its charm? What makes Manotick unique? We asked community leaders and Manotick residents to weigh in on our special Friday morning broadcast. Listen to some of the highlights by clicking on the clips we've put a little higher up in the story. What do we need to know about your community? Send us an email with your suggestions of where we should visit. Stay tuned for our next stop, Orleans, on April 17.